Canadian claims adjusters are already “boots on the ground” in Florida, helping carriers with the overwhelming task of settling insurance claims in the wake of Hurricane Irma. 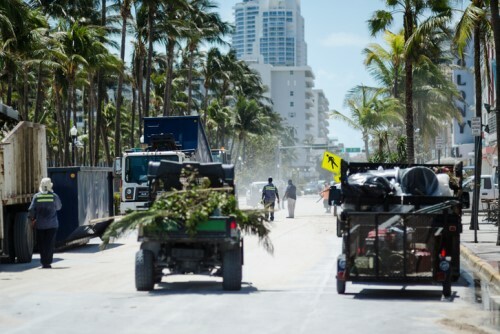 Jim Eso, Crawford and Company (Canada) senior vice president of P&C, said the company sent a team of adjusters to Florida in the immediate aftermath of Irma. The firm also has adjusters on the ground in Texas helping to sort out the mess left behind by Hurricane Harvey earlier in the month. There are further teams in – or headed to – the US and British Virgin Islands, the Bahamas, the Turks and Caicos Islands, and St. Martin, in the Caribbean. Because of the size and level of destruction, and number of expected claims, the workforce required to handle all the claims following hurricanes Harvey and Irma is huge. Eso said he has reached out to other member firms of the Canadian Independent Adjusters’ Association (CIAA) who may not have the client agreements in the US or Caribbean, but who are willing to travel to attend claims. “We are offering opportunities to those firms to become part of our response,” he said. Adjuster response depends on infrastructure availability, Eso said. Crawford adjusters were based in Corpus Christi in Texas, servicing Houston. In Florida, too, there are plenty of hotels and accommodation that adjusters can stay in while they work. They may face a considerable commute to get to the most heavily-damaged areas each day, he said, but that’s just the nature of the job. “We move in as quickly as we can, after the fact. And it depends on the infrastructure damage, that’s the deciding factor [in getting people on the ground quickly],” Eso said. Crawford, as an international company, co-ordinates with adjusters from the US and the UK and Australia also, Eso said. The majority of clients in the US for Crawford’s services are carriers who have longstanding relationships with the adjusting firm. In the Caribbean, though, they are also working with local insurers who have requested their services – while Crawford adjusters from the UK are also in the Caribbean, as they have relationships with the Lloyd’s markets there. Following an induction process in local markets – for training on the finer points of local regulations and policy wording – the adjusters are ready to go. “Our catastrophe teams are all pretty seasoned, experienced property adjusters,” he said.